From suit fittings, planning your bachelor party and making sure you have the rings at the altar, your groomsmen are a helping hand, shoulder to cry on, and one of your favorite people in the world - why else would you ask them to be in your wedding? For all they do, they need a little thank you to show how much you appreciate everything they’ve done for you. We have some awesome gift ideas to do just that, and they won't take up too much space in your suitcase. Whether they use it to take the edge off on the day of the wedding or to just enjoy another time, an alcohol flask is an excellent gift they can keep forever. Make it extra special by engraving their name, the date of your wedding, and groomsmen on it. If you’re looking for something that your groomsmen can wear on the day of your wedding then get them cufflinks. 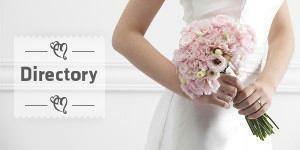 Not only can they wear them on your special day, but they can keep them forever. Every guy uses a wallet so why not get your groomsmen one as a gift. Whether it’s a simple black or a personalized leather one, they’ll love that you got them something practical. You can even have the date of your wedding put on it and add a personal message inside. 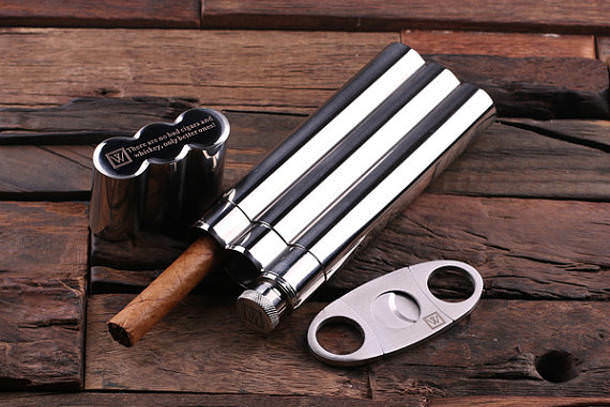 If you have groomsmen that love a glass of wine or cold beer, then getting them a multipurpose bottle opener might be the perfect gift for them. Make sure it isn’t your everyday opener, but something personal that has their name on it. From brightly colored to patterned, give your groomsmen some socks. Don’t only give them a single pair to wear on the day of your wedding, but stock up his sock drawer with a few pairs. Not only will this gift leave your groomsmen smelling incredible, but they get to take the bottle home as a gift. Whenever they use it they’ll be reminded of your nuptials and the moments they spent with you on the day.